One of the greatest conversion stories of all time is that of Alphonse Ratisbonne of France. 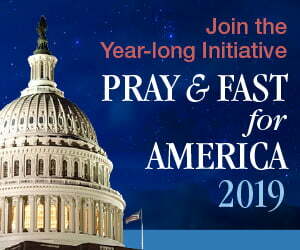 It is arguably one of the most miraculous since Saul of Tarsus became Saint Paul. It is profound, yet simple when the Holy Spirit plucks a person and decides to reorient the thinking of the individual. Alphonse Ratisbonne was a young Jewish man born in 1814 in the area of Strasbourg, France, and was the eleventh of thirteen children. He was from a socially and financially prominent banking family with ties to the Rothschild Family, the wealthiest banking family in all of Europe. Having finished his studies and a law degree, he set out for a little adventure in Italy and environs, before marrying his niece, also a Jewess. After travel, his plans were to write a book on all he saw, and seek his fortune in the family business of banking. Ratisbonne, not being a practicing Jew, had a particular venomous distaste for the Roman Catholic Church, and was not bashful about expressing his views. Now in Rome, and taking in the sights and sounds of a man with no particular agenda other than seeing the city as a tourist. Calling on an old school friend by the name of Gustave de Bussieres, he was able to meet his brother Baron Theodore de Bussieres, a recent convert to Catholicism. Since Alphonse knew that once he returned to France and marry, he may not get another chance to see Rome again, so he decided to stay a few extra days. As fate would have it, Gustave’s brother Theodore volunteered to show him the city. After seeing Saint Peter’s Basilica, Theodore asked Alphonse to accept a Miraculous Medal, and instructed him in the words of the Memorare. Rather than show the inner contempt he felt for such a bold affront to a Jew, and an unbeliever, he accepted the medal of his gracious travel host, and put the medal in his vest pocket. Here is where eternity intersected time, and history was altered. Baron de Bussieres had asked a friend to pray for Alphonse the night before, and the man promised he would. The man prayed the Memorare one hundred times for Alphonse’s conversion. On January 20, 1842, Ratisbonne accompanied Baron de Brussieres to a church by the name of St. Andrea della Fratte, as he was making arrangements for a funeral the next day. Alphonse decided to tour the church while his friend was occupied with funeral details. Returning to the interior of the church, Theodore saw Ratisbonne on his knees in front of the Chapel of Saint Michael. Tapping Ratisbonne on the shoulder, he saw his face drenched in tears, and Ratisbonne said, “Oh, how this gentleman has prayed for me.” Baron de Brussieres saw Ratisbonne and almost had to carry him out of the church. “I had been but a few moments in the church when I was suddenly seized with an unutterable agitation of mind. 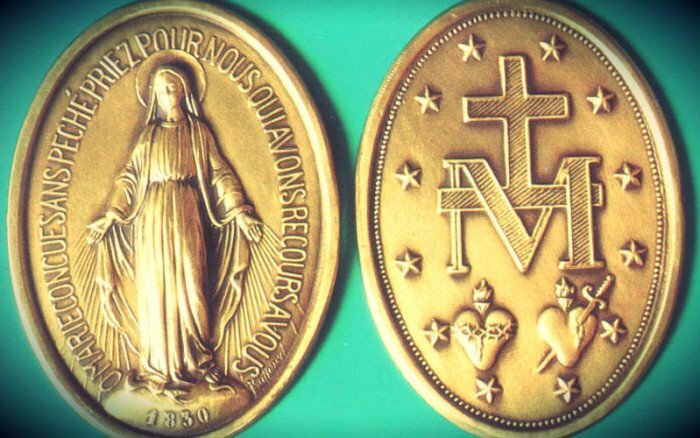 I raised my eyes, the building had disappeared from before me; one single chapel had, so to speak, gathered and concentrated all the light; and in the midst of this radiance I saw standing on the altar, clothed with splendors, full of majesty and of sweetness, the Virgin Mary, just as she is represented on my medal. “My brother, two hours after his conversion, was seen by Cardinal Mezzofanti, who was ready to throw himself on his knees in adoration to God. Nothing was known of my brother at Rome, and at first, great apprehensions were entertained as to what his character may turn out to be. He had never read two pages of the bible, never received any religious instruction whatever, was altogether of a light and superficial character. The Blessed Virgin appeared to him as close as I am to you; she made a motion to him that he should remain quiet under divine influence. On rising out of his ecstasy, he had received intuitively the knowledge of the Christian faith… I believe that he has more than once received a repetition of the grace he had at Rome, but I have never asked him on the subject… My uncle is worth from six to seven millions of francs; he has disinherited my brother, who has renounced everything” (M.I’Abbe’ TheodoreRatisbonne, Allies’ Journal in France, p. 44). Eleven days after the miracle of conversion, The Cardinal Vicar was present at his baptism, confirmation, and first Holy Communion. He then became known as Marie Alphonse Ratisbonne. Pope Gregory XVI said that this was indeed a miracle. The apparition of Alphonse Ratisbonne was approved by the Holy See on June 3, 1842. In six short years from the date of his conversion, he was ordained a Jesuit. 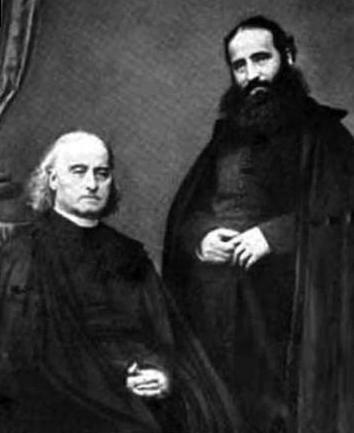 With the permission of the Superior General of the Jesuit order, and the blessing of Pope Pius IX, he left to join his brother in the Order of the Peres de Sion in Paris. For the remainder of his life he set up monasteries, and several orphanages for boys and girls in Israel. Several things are very important in this story. First, there was prayer by several people for the conversion of Ratisbonne. He would credit this to his conversion. 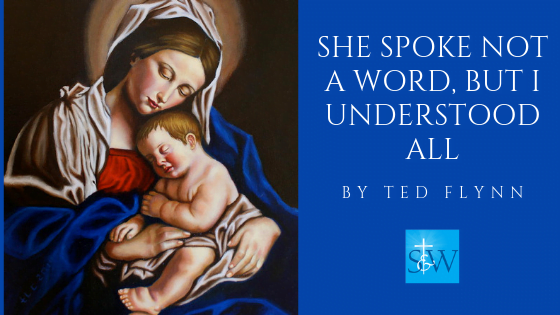 Second, the Blessed Mother acted nearly immediately on those requests. Third, he received the preternatural gift of infused knowledge much in the same way St. Catherine of Siena had during her dialogues with the Lord, yet she had no formal education. When the Blessed Mother is involved in a person’s life, there is a special preternatural grace that accompanies the believer’s walk. There are storehouses of graces that come to a person when they consecrate themself to the Immaculate Heart, which has no human explanation. It is a spiritual gift. Think of a person who wants to go to the top floor of a tall building. One way up is the elevator, the other is walking up the stairs. 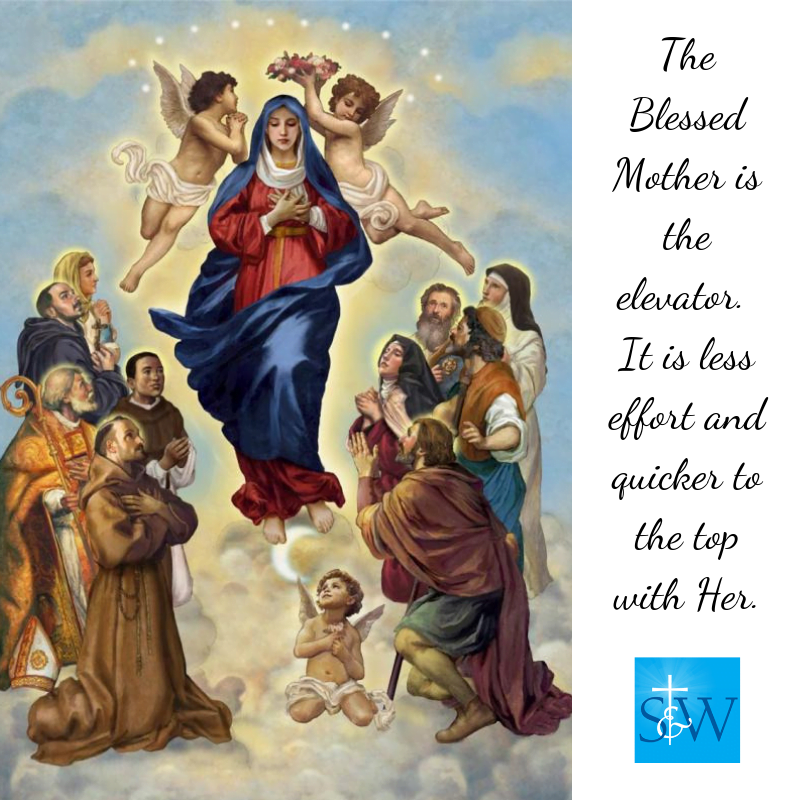 The Blessed Mother is the elevator. It is less effort and quicker to the top with Her. 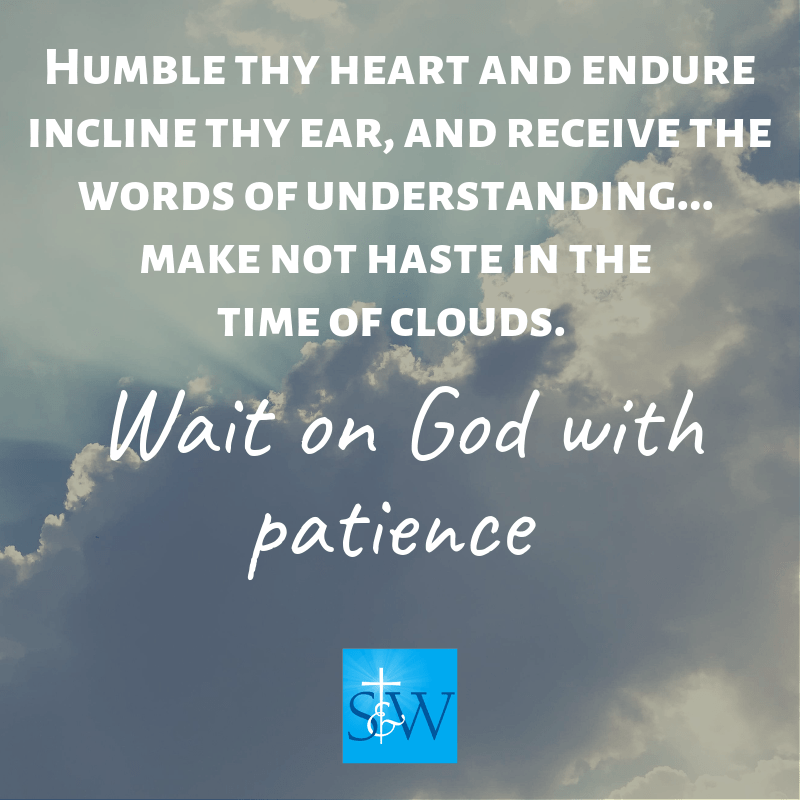 No matter the academic background, pedigree of family, or theological/philosophical training, there are extra graces bestowed when one asks for her intercession. The person matures much more rapidly when a Consecration or devotion takes place. As St. Louis de Montfort said, “she is the shortcut to the Heart of God. She spoke not a word, but I understood all.